My health practitioner recommended I take this product as it has the right amount of ingredients for my needs. I am very happy with this brand and will continue taking it on a daily basis. There was nothing wrong with BioActive Folate & Vitamin B12 by Life Extension, I just need a higher dose of methylated B vitamins for my MTHFR mutation. Folate is a member of the B-complex family. It is found in abundance in leafy green vegetables. Folate participates in a coenzyme reaction that synthesizes DNA needed for cell growth and new cell formation‚ and helps convert vitamin B12 to one of its coenzyme forms. - Helps promote healthy DNA function. - Maintains already normal homocysteine levels‚ which is important for heart health. - Helps maintain a healthy GI tract. - Is part of a healthy immune system. - Maintains healthy endothelial function. - Improves mild memory loss associated with aging. Optimal levels of folate are necessary for healthy cell division and protein synthesis and are especially important for the maintenance of a healthy GI tract. The systemic need for folate increases in certain states in which increased cell multiplication is needed. Chronic use of medications such as aspirin in therapeutic doses and antacids can interfere with the metabolism of folate. Other Ingredients: Microcrystalline cellulose‚ dicalcium phosphate‚ vegetable cellulose (capsule). Have always had issues with a low level of vitamin B. 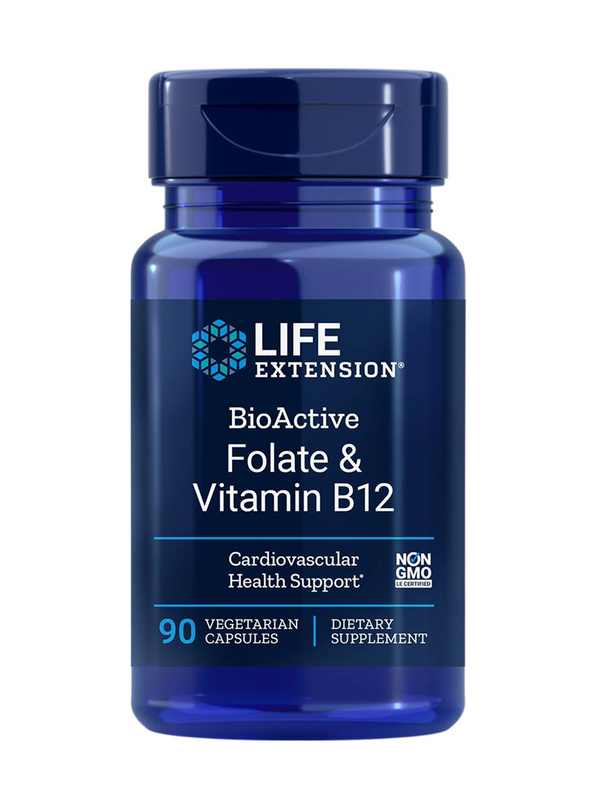 After taking this BioActive Folate & Vitamin B12 by Life Extension my Vitamin B level is where it is supposed to be.